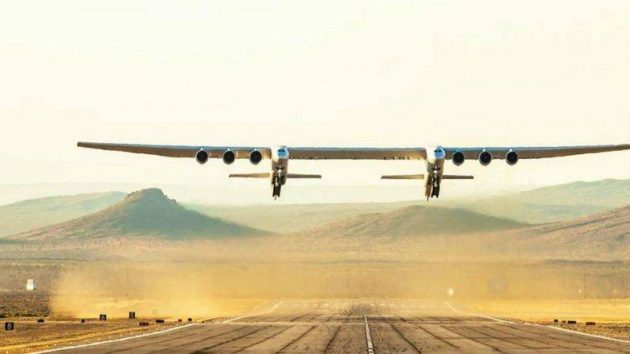 In partnership with manufacturer Scaled Composites, a division of Northrop Grumman, Stratolaunch Systems on April 13 completed the first flight of the world’s largest all-composite aircraft, named after the company founded in 2011 by the late Paul Allen. With a dual fuselage design and a wingspan greater than the length of an American football field, including both end-zones, the Stratolaunch aircraft took flight early in the morning from the Mojave Air & Space Port for standard testing exercises. The aircraft has a wingspan of 385 feet (117 metres), length of 238 feet (73 metres), and a tail height of 50 feet (15 metres). It is powered by six Pratt & Whitney PW4056 engines and is rated for a maximum takeoff weight of 650 tonnes. To serve as a comparison of giant aircraft, although designed for very different purposes, the Antonov An-225 Mriya for strategic airlift is rated for a maximum takeoff weight of 640 tonnes (640,000 kg). 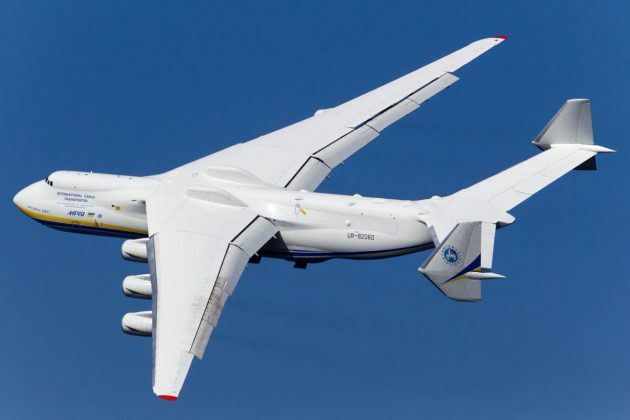 Also powered by six turbofan engines, the An-225 Mriya has a wingspan of 290 feet (88.4 metres), length of 275 feet (84 metres) and a tail height of 59.5 feet (18.1 metres). As part of the initial flight, Stratolaunch Systems explains the pilots performed a range of maneuvers to calibrate speed and test flight control systems, including roll doublets, yawing maneuvers, pushovers and pull-ups, and steady heading side slips. The pilots also conducted simulated landing approach exercises at a max altitude of 15,000 feet (mean sea level). The plane achieved a maximum speed of 189 miles per hour and flew for 2 1/2 hours over the Mojave Desert at altitudes of up to 17,000 feet. 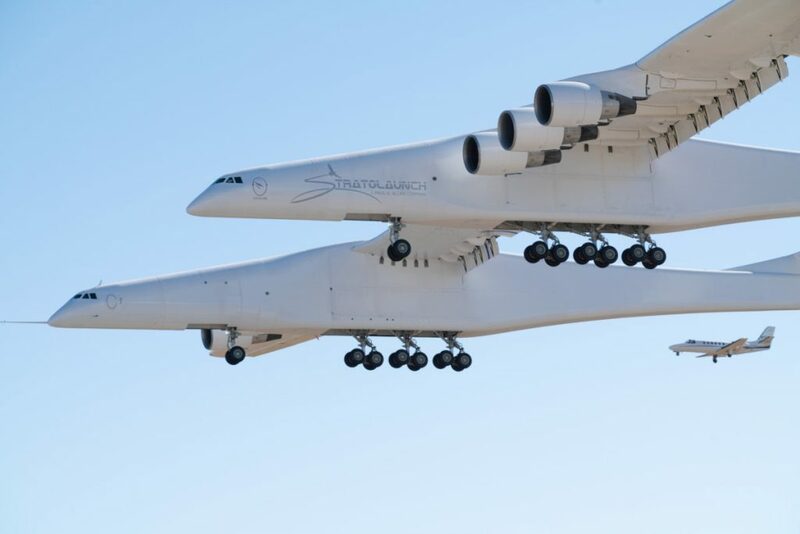 The Stratolaunch is described as a mobile launch platform to enable airline-style access to space, primarily for commercial satellites to forgo traditional hurdles of rocket launches – with long wait times, weather delays, and high-price tags.